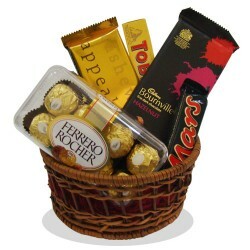 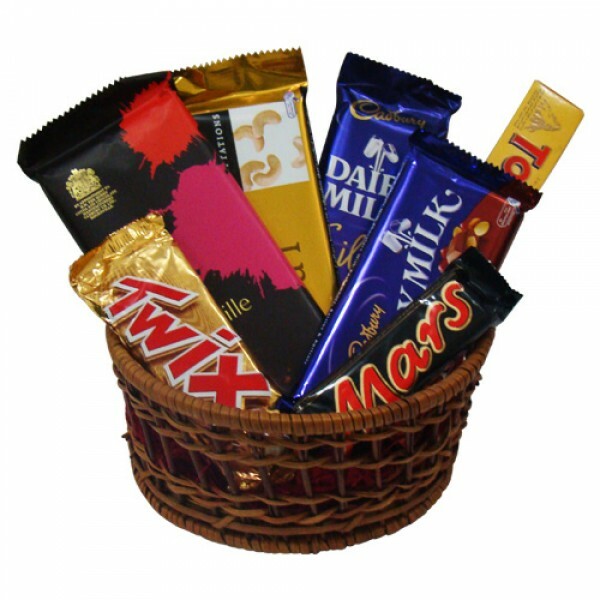 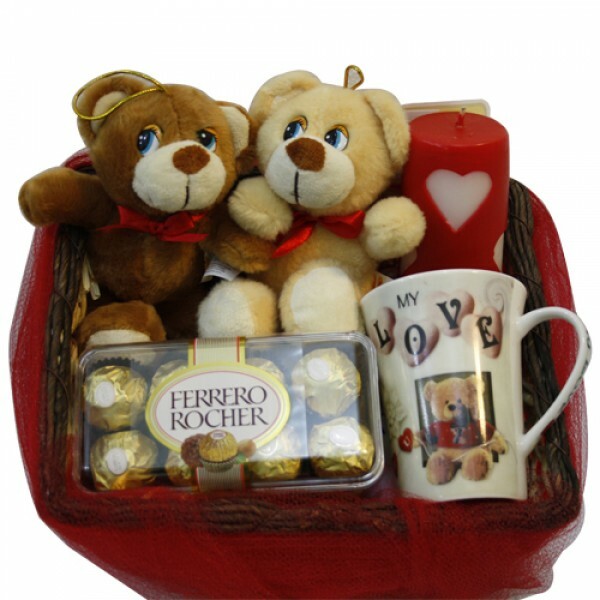 Great hamper for your sweet heart. 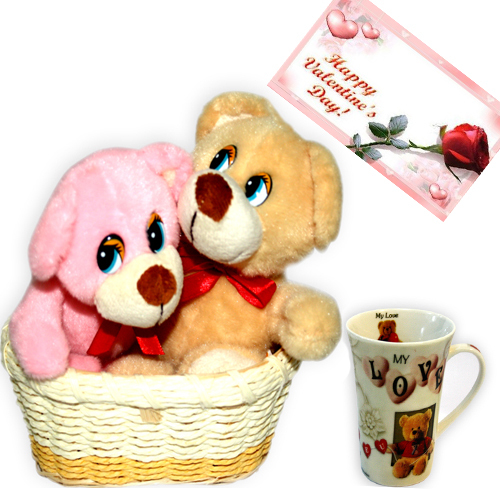 Take chance to impress him/her. 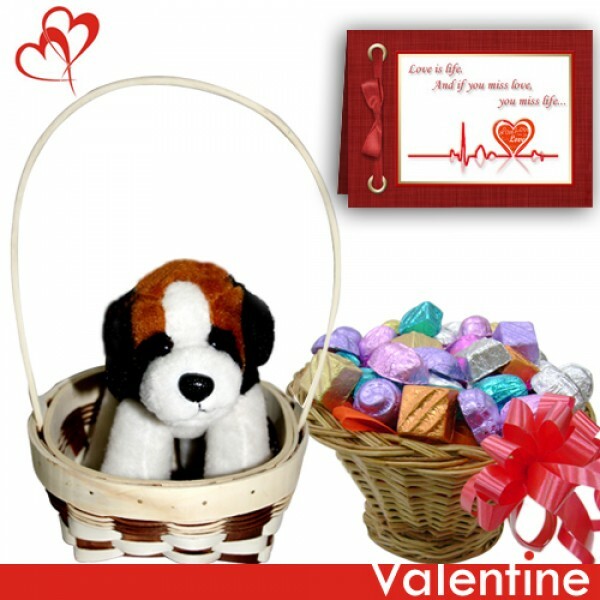 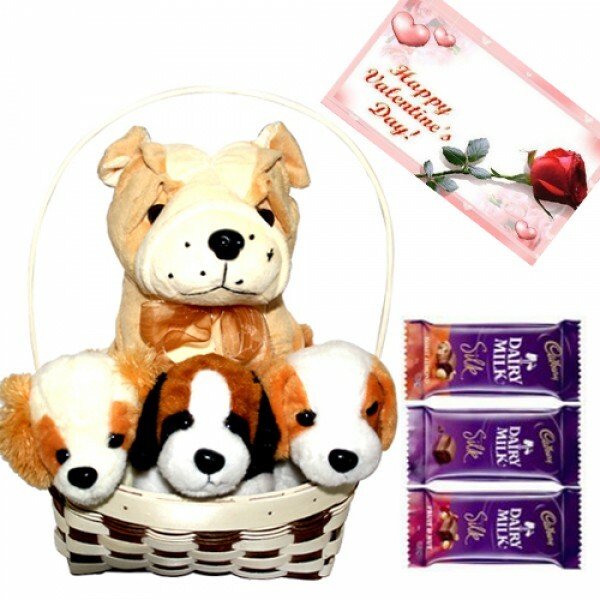 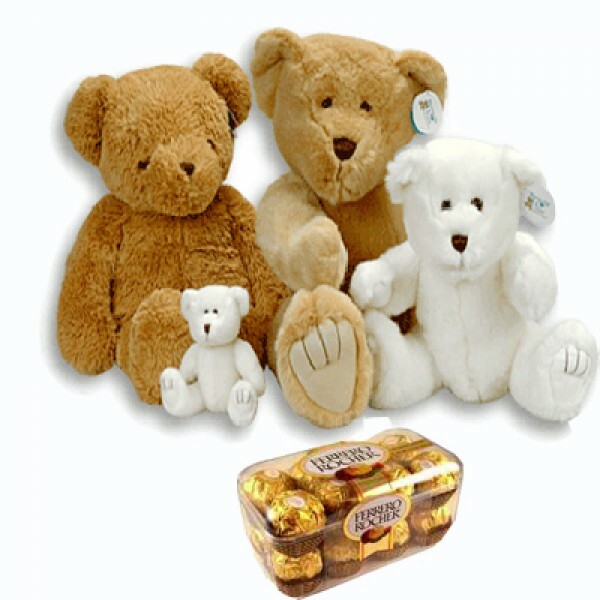 Hamper Includes: A basket of 3 puppy soft toys 6 inch height and 1 bull dog soft toy 10 inch with 3 Daily Milk Silk Chocolate 69 gm each and greeting card.